Kim Chambers on swimming with sharks off the California coast. "In this talk, record-setting open water swimmer Kimberley Chambers considers what it truly means to push your boundaries and how to live a full life. Through her amazing feats of athleticism she has learned to use her fear to send her towards her goals and encourages the audience to utilize their own fears and further push themselves outside of their comfort zones." Seeker is a Discovery Channel series of short online documentaries on rituals with journalist Laura Ling, about the types of cathartic things extraordinary people do on a fairly regular basis. The idea was inspired from Laura's own personal ritual of daily gratitude, which she developed while imprisoned in North Korea in 2009 and continued to practice after her release. The Future of Adventure: Kim Chambers swims with sharks before breakfast. 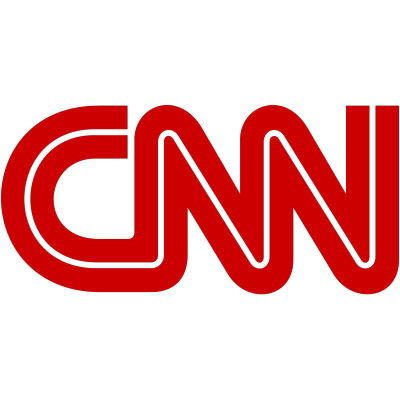 Outside TV is a sports-oriented cable and satellite television network based on Outside magazine and the critically acclaimed brand. Outside TV is the only programming network dedicated to the active adventure lifestyle in the United States. Update: airing May 7th at 9:30pm PST ("Dispatches," Season 9, Episode 2). Link to follow. Hurry Slowly is a new podcast, hosted by Jocelyn K. Glei, focused on how you can be more productive, creative, and resilient through the simple act of slowing down. Episode 004 is with Kim Chambers, talking about calculated risk, stretch goals, and sharks. 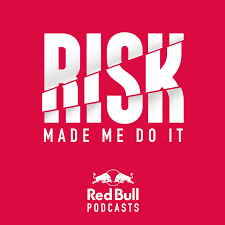 Red Bull’s first ever podcast, Risk Made Me Do It, talks to top performers in the worlds of adventure, culture, tech and innovation. In a one on one conversation, we discuss the hurdles they had to overcome on their path to mastery, and the tips and tricks that made them better. What risks are shared by the endurance mountain biker and the food truck chef? What struggles do the start-up entrepreneur and the big wave surfer have in common? And what can we learn from their diverse paths to success? Featuring characters from the world of Red Bull and beyond. A podcast interview series for women that explores about what it means to be a woman who is 100% unapologetically herself. Hosted by Erin Brennan. "Kim has had a very untraditional path to success. From not being a swimmer to raising the bar world wide for women's athletics she is sharing behind the scenes not just about her swims (although we do talk about them) but about her path to get here and the lessons she's learned along the way. In this interview we're digging deep behind the scenes with conversations about body image, being a female role model, the importance of discipline, how to ignore the nay-sayers, and why you should push your limits to become your best self." Kimberley Chambers Swims with Sharks: the world's greatest female marathon swimmer on turning adversity to advantage. Rich Roll Podcast: With over 23 million downloads, this is one of the world’s most highly acclaimed podcasts. "This is a conversation about the boundaries of human potential. It’s about the capacity to turn tremendous adversity into boundless opportunity. It’s about finding joy and adventure outside the comfort zone. It’s a conversation about reframing identity to step into and own — really own — our most authentic, fully actualized selves. And I suppose it’s about how to not get eaten by a shark. Delightfully engaging, ever humble, and beautifully human, Kim embodies everything you seek in a modern day female super hero." Kim speaks candidly to host Kirsty Robinson about her defining influences, her make or break moments and what she has learnt along the way. Saints of Somewhere features interviews with a rich mix of remarkable guests. From athletes to activists, movie makers to musicians. "Kiwi Kim talks to Saints of Somewhere about her incredible life including the immediate aftermath of her horrific accident when doctors were preparing to amputate one of her legs and the two years she spent in rehab learning to walk again, during which Kim stepped into the ocean and found new freedom and purpose." Radio New Zealand (RNZ) provides listeners with exciting and independent radio programs in accordance with the Radio New Zealand Charter. Dead Sea Dip: Swimmers endure salty agony to highlight disappearing wonder. KQED's award-winning Forum is a news and public affairs program that concentrates on the arts, culture, health, business, and technology. Forum is one of KQED's most-popular shows and one of the nation's most-listened-to locally produced public radio talk show. Facing Death and Winning with Kim Chambers and Thom Shea.